Flash drives keep cramming more and more storage capacity into their pint-sized, portable packages, and right now there are a couple of deals to get you a ton of space for very low prices. 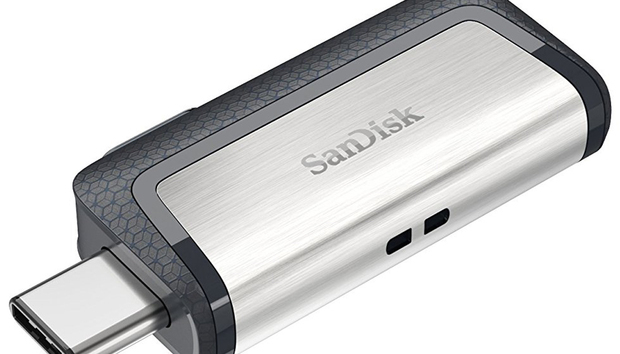 If your devices support USB Type-C, SanDisk’s Ultra Dual Drive is the deal for you. The one on offer packs a huge 256GB of capacity for $65, its lowest price ever on Amazon. It comes with two plugin ends; one is a USB Type-C connector and the other is a traditional USB, so you’ll be able to transfer files between different types of devices easily at speeds up to 159MB/s. It also gives you access to the SanDisk Memory Zone app, which helps you manage device memory in the cloud. And while we haven’t tried this particular flash drive, its 4.1 stars out of 5 with almost 600 Amazon user reviews shows that this is a winner. If your devices haven’t quite made the jump to USB Type-C yet, don’t worry – there’s a deal for you too. Best Buy is offering a PNY Elite Turbo USB Type-A flash drive, with 128GB of storage, for $30. This flash drive has speeds up to 115Mbps and a sliding design meant to make it easy to take your storage on the go. Again, we haven’t tried this flash drive ourselves, but it has 4.7 stars out of 5 with almost 3,500 Best Buy user reviews.